It’s pretty bad when the only chicken that is affordable is wings... It’s not that bad, but it does hurt to pay through the nose for other cuts. Thank goodness for the $5/6 thighs deals they have occasionally at one of our local groceries. But this day it was wings. I actually love them if they're done right. On a different yet related note, there was an interesting festival at Avondale Sky Winery outside Windsor yesterday. A garlic festival. All things garlic, all day. Demonstrations, cooking, biggest garlic, etc, plus wine from local wineries. Hopefully, it will be an annual occurrence. For those of you not familiar with Nova Scotia (in Canada), the winery is on the edge of our beautiful Annapolis Valley – a rich and diverse tourist mecca. Plan a vacation here. You won’t regret it. The whole province is a wonder. I believe at one point I could smell the garlic in town, where I am visiting. (We’re 1 hour+ away from the winery.) Or maybe it was a restaurant we walked past... Whatever the source, it made me hungry for garlic! This recipe is a double whammy of garlic. Lots in the marinade and enough in the dipping sauce to keep vampires away for weeks. You will have dipping sauce left over. Don’t worry about it. It’s great on a tossed spinach and tomato salad, or any other way you can dream up. It would be perfect as a sauce on thick, juicy steak. So if you love garlic – or hate vampires – read on. Even though it is now fall, barbecue season is most definitely not over! 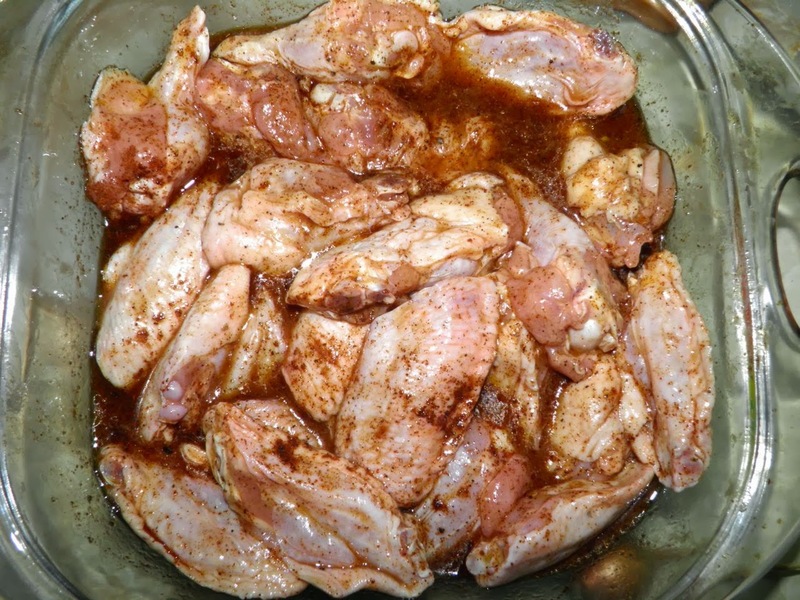 Combine marinade ingredients together and mix well. Place chicken wings in a large resealable bag. Pour marinade over top. 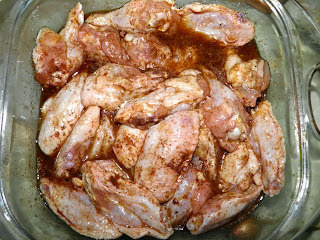 Rub the marinade into them well and marinate on the counter for 2 hours, or overnight in the refrigerator. Longer won’t hurt them in the ‘fridge, but 2 hours max (using chilled chicken) on the counter. 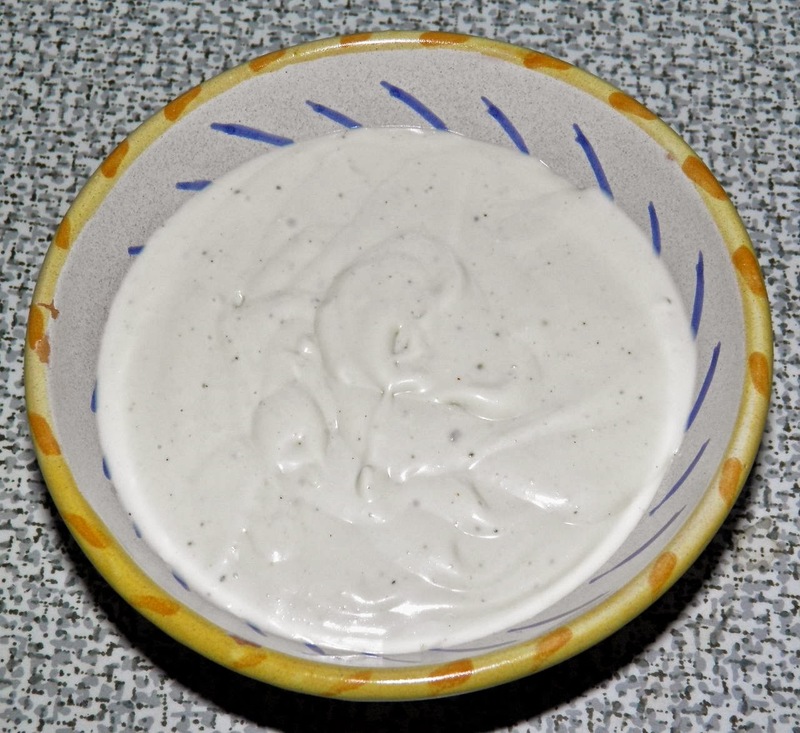 For the blue cheese sauce, combine the blue cheese, sour cream, mayo, garlic and Worcestershire in a small blender. Add enough milk to give the sauce the consistency of you want. Add salt and pepper. Refrigerate for at least 1 hour. If you're reading this in winter, don't despair. You can easily "barbecue" in your oven using the broiler. 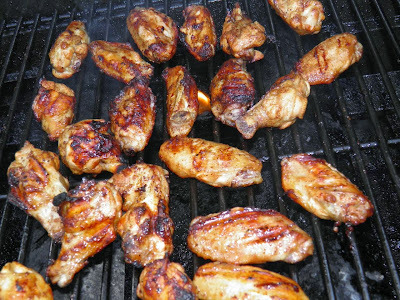 The trick is to place the wings on a rack sitting in a rimmed pan so the heat circulates all the way around. Use this trick for all your barbecue favourites when the snow is swirling outside. 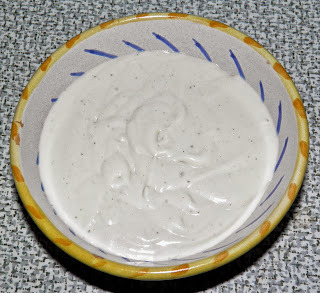 Serve with the blue cheese sauce for dipping.